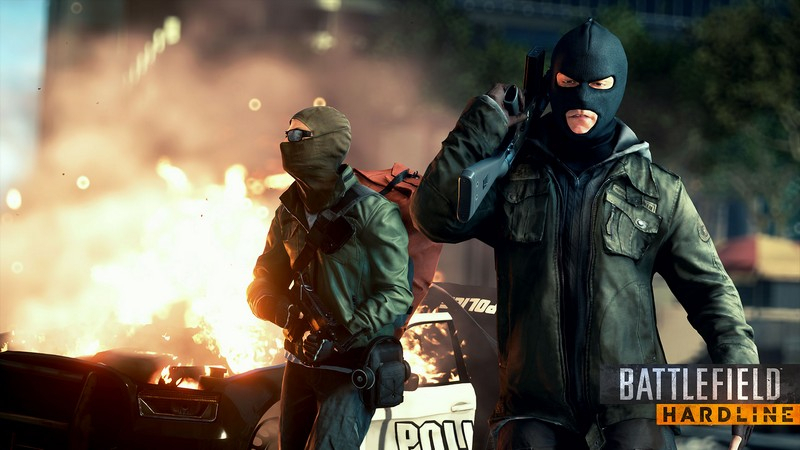 Battlefield Hardline is a multiplayer first person shooter (FPS) for PC, Xbox One, PlayStation 4, Xbox 360, and PlayStation 3. Miami is now in a full on drug war and Officer Nick Mendoza has just been promoted to detective. Alongside his partner, Nick will go on the search for the source of a drug supply chain in a series of off-the-books cases. What they find reveals just how far the grasp of corruption and power has grown. Business Model: Retail, $7.99 for base game, or play on Origin Access. Microtransactions: Yes. It's an EA Battlefield game. You can pay to unlock anything and everything. Classes: Professional, Enforcer, Mechanic, or Operator. 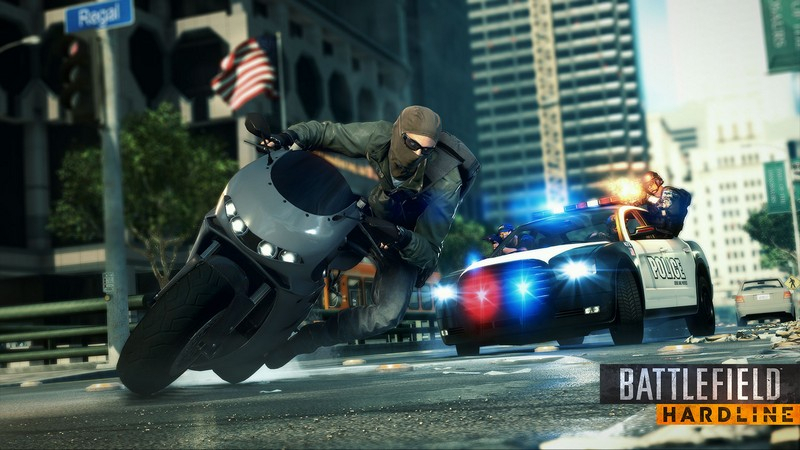 Dramatic Single Player: Inspired by television crime dramas, Battlefield Hardline offers a tense single player story. 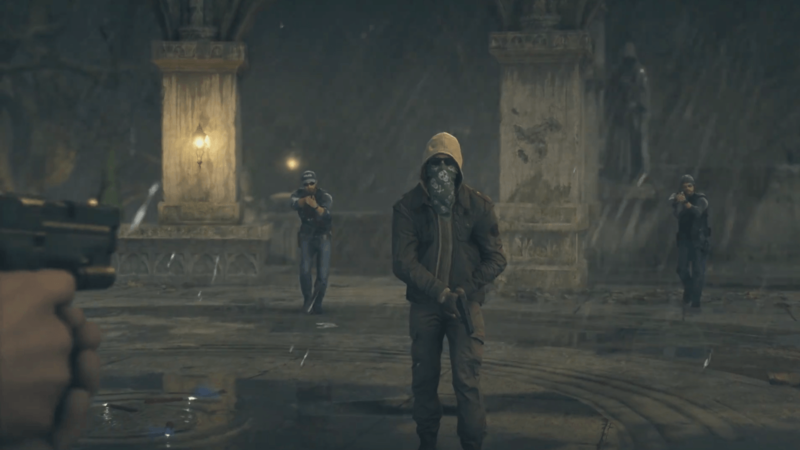 Thrilling Multiplayer: Choose your side of the law and worth with your team to pull off heists and busts. 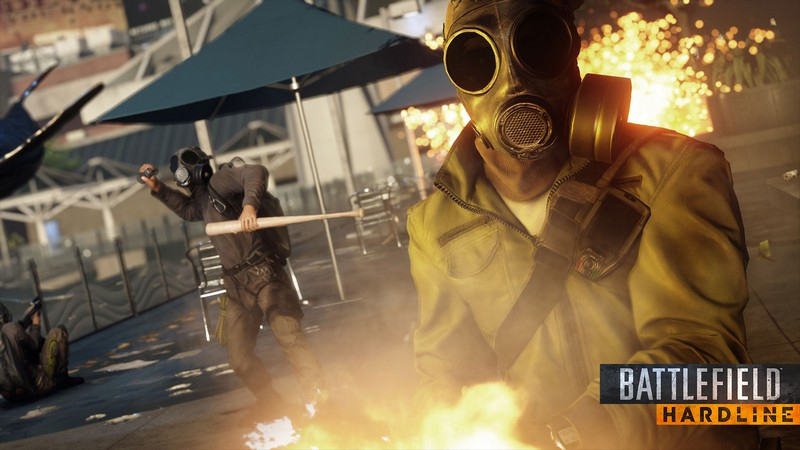 Environment Destruction: Shootouts aren't all that Battlefield has to offer; prepare to use explosives and other tools to blow vaults, cars, and more to dust. 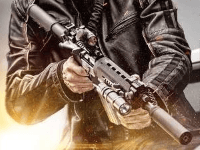 Modern Gadgetry: Explore the urban jungle with ziplines, sawed-off shotguns, grappling hooks, tasers, tear gas, and riot shields. Criminal Activity: These are no petty crimes. Something is organizing the dirt bags, and they're terrorizing the city. Featuring four new maps (Backwoods, Code Blue, The Beat, and Black Friday), Bounty Hunter Mode, and new gear including masks. 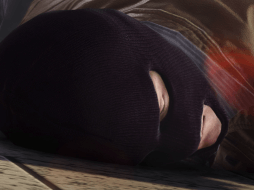 Robbery: The Big Score; Will you make it, or break it? 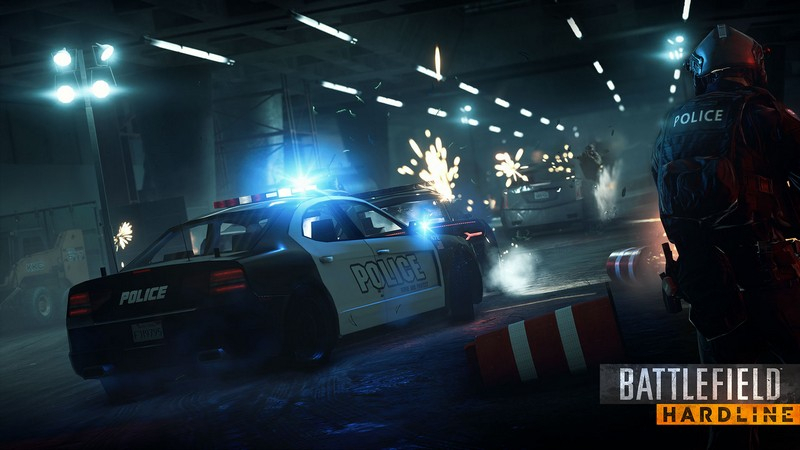 Featuring four new maps (Precinct 7, The Docks, Museum, and Break Pointe), Squad Heist Mode, and more gear. 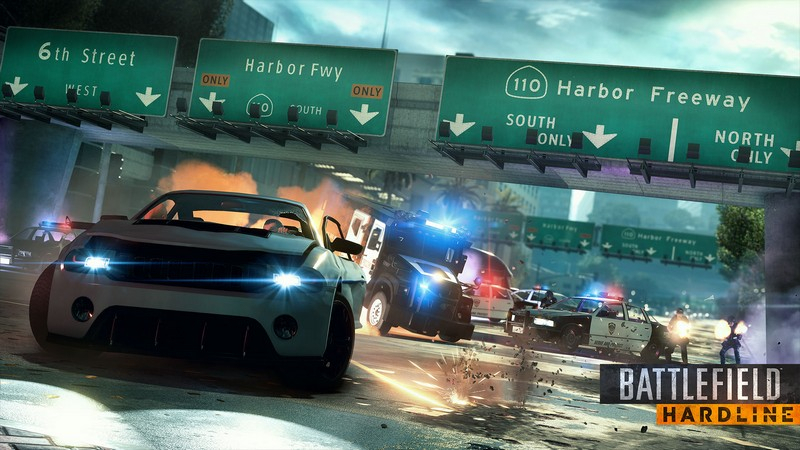 Getaway: Play as a wheel man for the crooks, or a professional chase driver for the boys in blue. Featuring four new maps (Pacific Highway, Train Dodge, Double Cross, Diversion), Capture the Bag mode, Legendary Camo and more. Betrayal: Crook on Crook action! 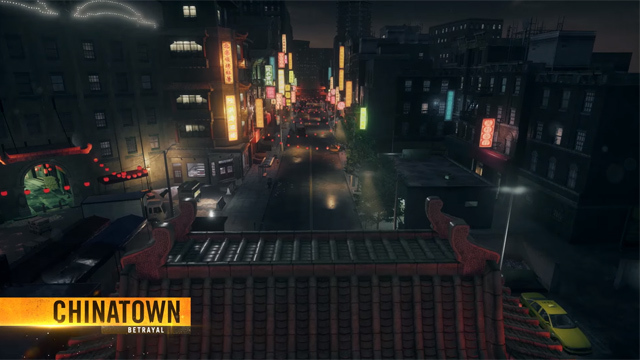 Featuring four new maps (Alcatraz, Cemetary, Chinatown, and Thin Ice), and an assortment of gear. 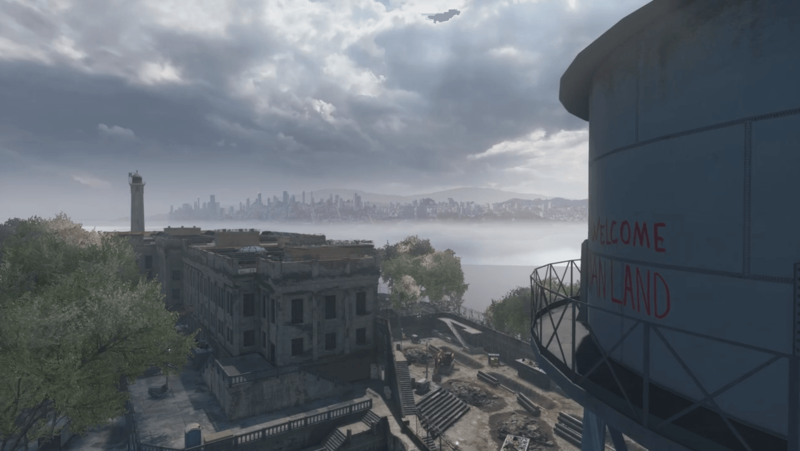 A showcase of the new Alcatraz map in Battlefield Hardline: Betrayal, inspired by the Californian island prison. 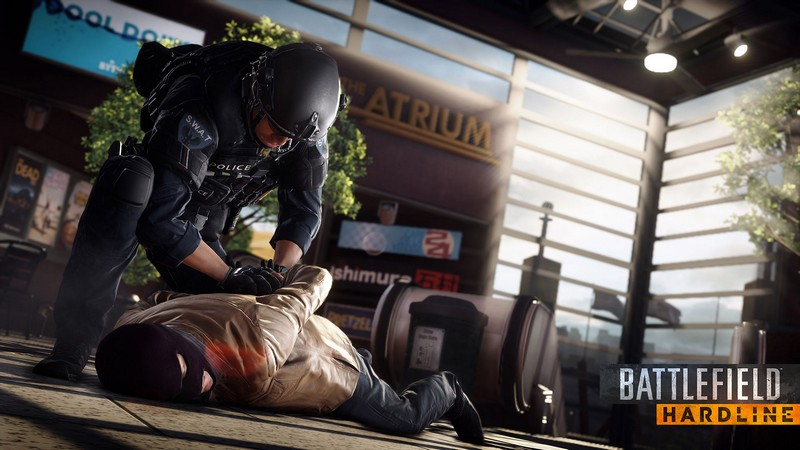 Battlefield Hardline showcases the new Alcatraz, Chinatown, Thin Ice, and Cemetary maps coming in Betrayal.